This is an oval Brink’s Express Company porcelain sign. This particular Brink’s Express Company sign is blue and white. 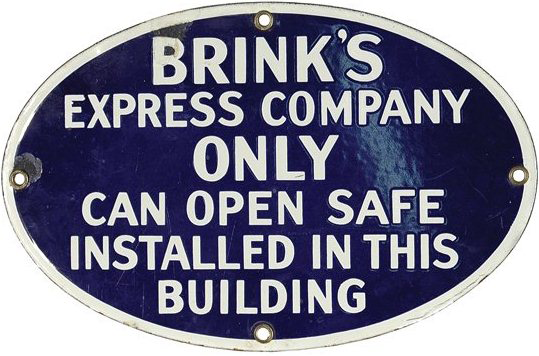 It reads, “Brink’s Express Company Only Can Open Safe Installed In This Building” and has a white border.